Welcome to SciShow Space! In this episode Caitlin Hofmeister will talk about Cecilia Payne-Gaposchkin, one of the most influential women in astronomy! Oct 09, 2014 · Scientiflix Featuring insightful and informative videos from all areas of the sciences and humanities. 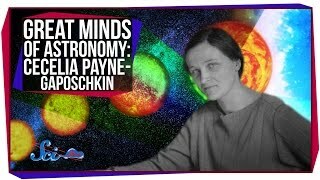 2014 Oct 07: Great Minds of Astronomy: Cecilia Payne-Gaposchkin. 2014 Nov 18: Great Minds: Robert Goddard, Original Rocket Scientist. Channel: scishowspace Great Minds.